As a tourist guide and nature lover, I provide a swimming, snorkeling and sightseeing tours for visitors who are interested in seeing the marine biodiversity of Raja Ampat islands. During the tour, visitors will be able to see a lot of species of fish and other marine animals that live in the coral reef. 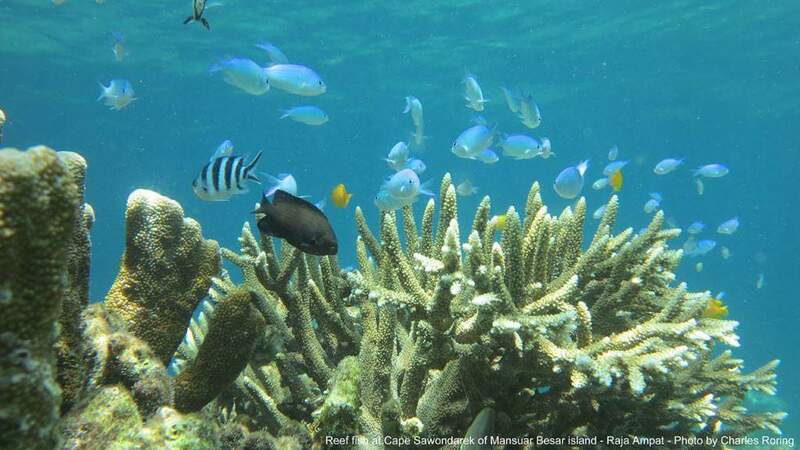 Marine scientists recorded the highest number of fish species in Raja Ampat waters making the regency as the richest in the world for marine bio-diversity. 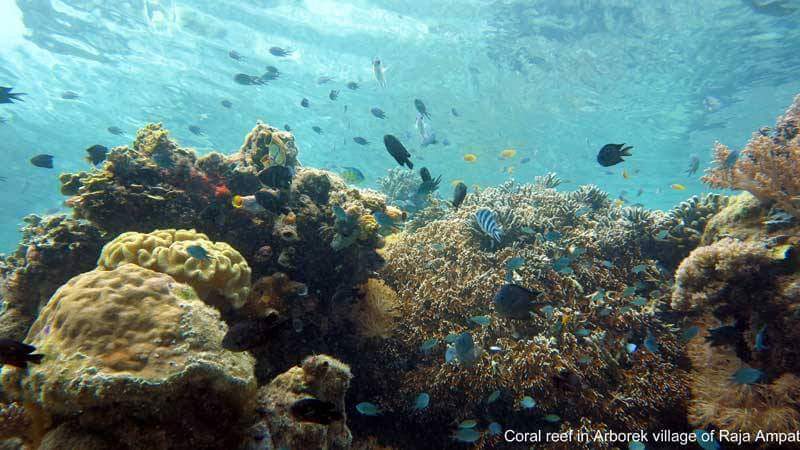 This snrkeling trip will raise awareness among the participants about the biodiversity of the marine environment in Raja Ampat and at the same time provide employment opportunities to local people so that they will be more serious in preserving their coral reef and rainforest. The above itinerary should be seen only as a reference. The places or snorkeling sites can be changed during tour depending on weather condition, tide. Sometimes there is no electricity in the homestay in remote island. You need a flashlight. If you need your personal medicines, bring them with you. 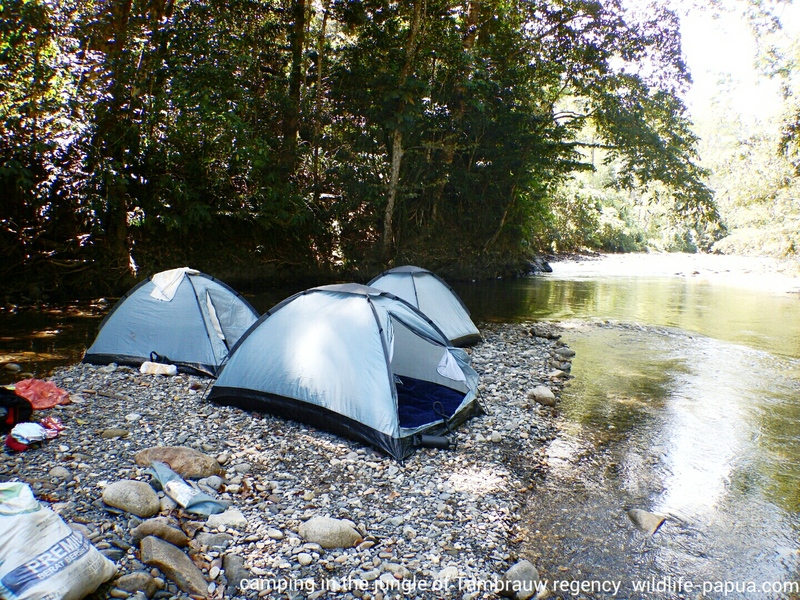 You could also combine your snorkeling tour with land tour in the mainland of New Guinea particularly in the tropical rainforest of Tambrauw or Sorong regency. A separate itinerary for the rainforest camping tour can be sent to you by email upon request. For prices and customized itinerary, please, contact me (Charles Roring) by email to: peace4wp@gmail.com or send text message to: +6281332245180.